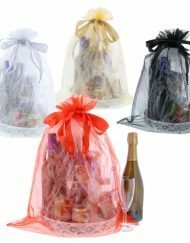 Make your bottled gift stand out from the rest by housing it in this stylish and elegant organza wine bag. The stars make for a sparkling touch to your thoughtful gift. 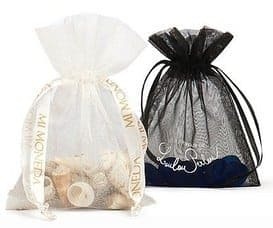 The bottle gift bags with stars are made from superior quality, strong organza material and are sized to hold a bottle of fine Merlot or Burgundy. The drawstring pulls shut at the neck of the bottle, creating a shapely form around bottle with a ruffle flare at the top. 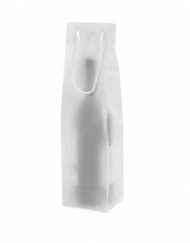 With the translucent organza material, the person receiving the bottle will be able to discern the name, province and vintage of the wine. 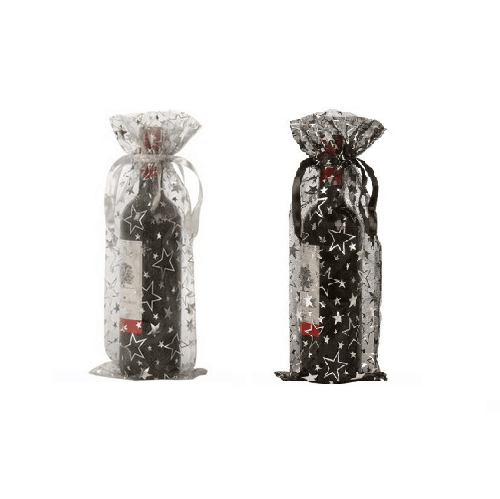 Why Choose Our Wine Bottle Gift Bags With Stars? 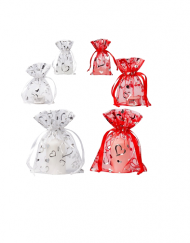 The wine organza bags stars are fantastic for holiday gifts, particularly over the festive period. With the decorative stars, they work well to hold a host gift for New Year’s Eve celebrations and Christmas parties. 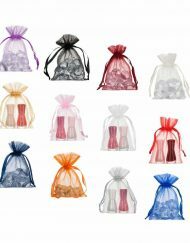 The organza bags are sold in two colours: black organza and silver organza. Both colours are sophisticated and stylish and can be used to envelop the fine bottles of wines at elaborate dinner parties and lavish evening events. 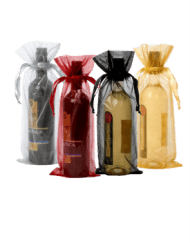 How Can My Business Benefit From Our Wine Bottle Gift Bags With Stars? Why not say thank you to your employees by offering them a bottle of wine for them to enjoy at Christmas time? 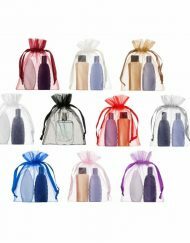 Package each bottle in the beautiful organza bottle gift bags and add a personalised note of thanks to show your appreciation. 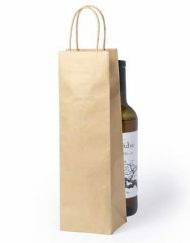 The sprinkling of stars across the organza bags is a festive touch for promoting bottles of wine in your shop over the Christmas period. This is a lovely alternative to Christmas promotion in your specialist food and wine shop. 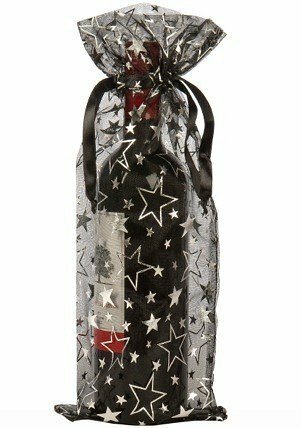 What Does The Wine Bottle Gift Bags With Stars Feature? The bottle bags measure at 15 cm x 38 cm (width by height). It has a durable satin ribbon with a width measurement of 1 cm. 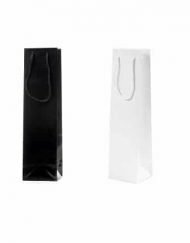 The bags are suitable for bottles up to a diameter of 10 cm. The bags are available in 2 different colours: black and silver. The Hot Foil print stars are scattered across the whole of the bag in silver. The PE organza bags are semi-transparent. The packaging includes 100 units per carton. 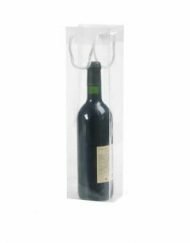 As with most of our products, we offer a free delivery service with our organza wine bottle gift bags with stars. You should expect to have the package delivered to your door within three working days. As part of our customer care, we offer a 30-day return policy. 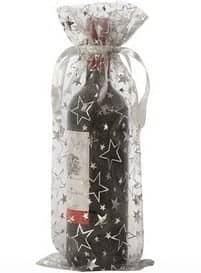 The organza wine bottle gift bags with stars are available wholesale within the UK and across Europe. This organza bottle bag is decorated with stars and will certainly help your gift to become amazing. – Shining “stars” Hot Foil printing in silver.